I have been Blogging the Caine Prize for 5 weeks and it has been a great experience. I was initially nervous about reviewing these shortlisted stories mainly because I've never reviewed short stories individually, and then when I found out about Blogging the Caine Prize and the calibre of bloggers that were participating in it, I got even more nervous. But I have to say I thoroughly enjoyed the whole experience - reading the short stories, sharing my thoughts, and most of all reading other people's views on the shortlisted stories. Twitter was a big part of the Caine Prize as well. I must confess, I am not the best twitter person out there and I am really trying to improve my social awkwardness on twitter, but typing #caineprize and getting access to the different views was absolutely amazing for me. But I'm not a judge, so I wait in anticipation for the 2012 Caine Prize Winner. Until then, I leave you with the image of the 2012 Caine Prize for African Writing Anthology, published July 2012. 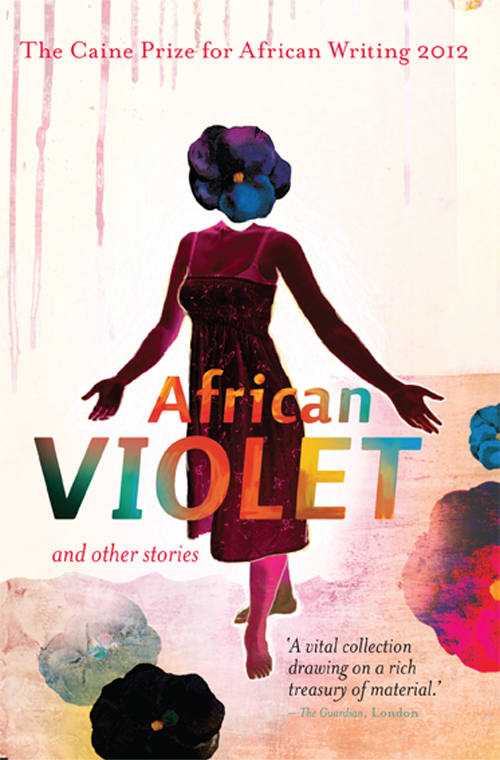 According to News Internationalist this years cover is inspired by one of the shortlisted stories, African Violet, and the design is courtesy of Jacana Media. I really should get to reading the other anthologies. A list of past Caine Prize Anthologies can be found here. I did read all the Caine prize short stories and enjoyed them, and I do agree with you about the top three. Not sure which one I liked best though. Maybe I have to do some re-reading? 'Bombay's Republic' and 'La Salle de Depart' really were my favourites. I know 'Urban Zoning' was in the top 2 on quite a few reviews that I read, but I didn't enjoy it as much as those two ones.